Musical Direction The role of the music director is complex. It is more than “keeping time”. Choosing appropriate music, teaching vocal skills, nurturing assistant directors, developing, and leading an accomplished music team are integral to the ongoing improvement of the chorus and represent only a small portion of the director’s role. 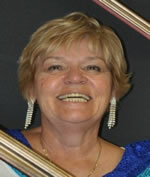 Linda Kuehnbaum, our music director, is highly experienced in the vocal style of barbershop music. Singing as a teenager in her mother’s chorus right here in Niagara, and later directing her own chorus, Nickel City Sound of Sudbury, Linda’s musical career has spanned 40+ years. 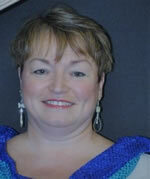 Put this know-how in the mix with skills she developed as a teacher, her formal music education and her experience singing in a quartet and, “ta da”, the chorus has a winning formula for success in our director. 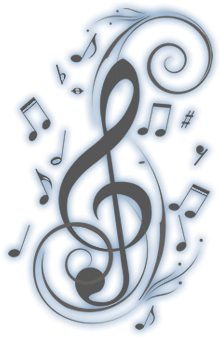 In addition to our Music Director, Sing Niagara’s music team has an assistant music director, section leaders, and a stage performance team, all working together to develop the musical and performance skills of the chorus. Holly Slowinski. Not only is Holly an important resource for our director, but she brings over 40+ years of formal music education in voice and guitar to us as well. Using her experience as a vocal instructor, and her trained “ear”, Holly is invaluable in teaching the vocal skills singers need to learn. With the ongoing dedication and musical direction of the Sing Niagara team, we continue to acquire our “barbersmarts” and grow as an accomplished ensemble, adding to the cultural landscape of groups involved in nurturing the Arts scene in Niagara.